The thing with growing up is that along with advances in our age, our dreams too evolve. At the age of 23, when a person starts earning, all he dreams of is getting his own car. And, visualises playing his own playlist in his own car. Such is our emotional connect with car and the music system in it. Car is a place where music goes on round the clock. Just like a personalised Disco. The difference here is that you are the disco jockey of your car! Such an empowering feeling it is! If you are looking for investing in your car, buying car music system always tops the list. Just like it should. Make Your Long Drives as they are Supposed to Be. Special! A long drive with your family in your brand new car! This could be your experience of a lifetime. Because that peppy chit-chat among your family, giggling of you kids make your trip even more memorable. But still something is missing. It's that energetic music you would love to enjoy while driving in top gear. Well, for your choice of songs, you can save number of tracks on your pen drive. 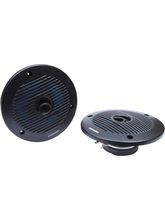 But we can offer you the best car audio system that is going to make your long drives pleasurable. Apart from songs, your family can also watch movies of their choice on a car DVD player. With excellent car sound system and picture clarity, your long journey would be an unforgettable one. 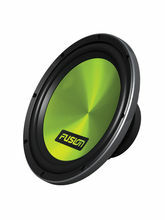 Buy Car Music System Online Only on Infibeam! Check out this store of high-class car CD players, DVD players, DVD players visuals, speakers, audio-visual components, amplifiers, subwoofers, monitors, cables and audio-visual accessories. We are sure that shopping music system for car has been made a lot easier by shopping online at Infibeam. You can sit at the luxury of your house and surf for the car stereo online and chose the ones that suit you! Make your car more special and beautiful just the way you want to. Have you imagined a Long drive in your Dream car? What song was playing in the background? Couldn’t make out? Make sure the quality of your Car Stereo System is great!